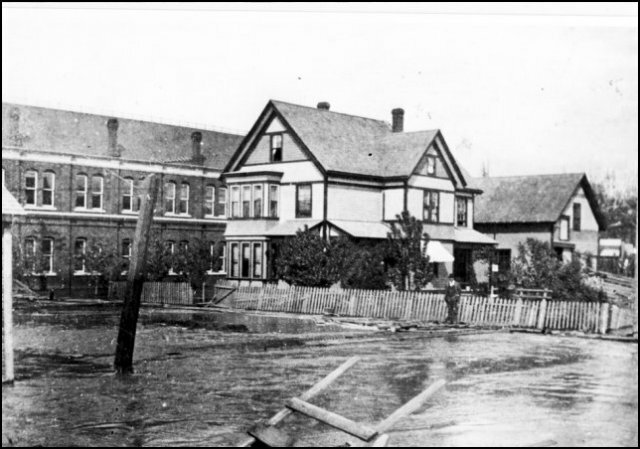 This photo was taken sometime after 1892, either during the construction of the Skagit county courthouse or shortly thereafter. We look northeast, with the David Decatur mansion and barn in the middle — standing where the Lincoln Theater stands today. The courthouse is at the left of the photo. Photo courtesy of John Pollock, great-grandson of David Decatur. John's grandfather, Elden Pollock, married one of Decatur's daughters and was responsible for construction of the Lincoln and the Cascade Drive-In Theater south of Burlington where the Cascade Mall stands today. See this website for our exclusive Decatur story. We hope that a reader will have documents or photos of the drive-in to copy and share for an upcoming story. In 1909, Burlington tried to wrest the original courthouse away from Mount Vernon, but their timing was not very good. The courthouse had been built in 1892-93 on the north end of one of the blocks that Captain David Decatur bought when he moved his family from Boston in December 1887. According to author Tom Robinson, it was located at the southeast corner of Pine at First street at the northernmost point of David Kimble's original 1870 homestead, bordering that of Jasper Gates. Just 17 years before the 1909 fight, Anacortes, Sedro and other cities tried to wrest the count seat away from Mount Vernon in the election of November 1892. Anacortes won the election by seven votes, but the rules dictated that such a change had to be approved by two-thirds of the voters. Mother Nature helped thwart Burlington's plans. 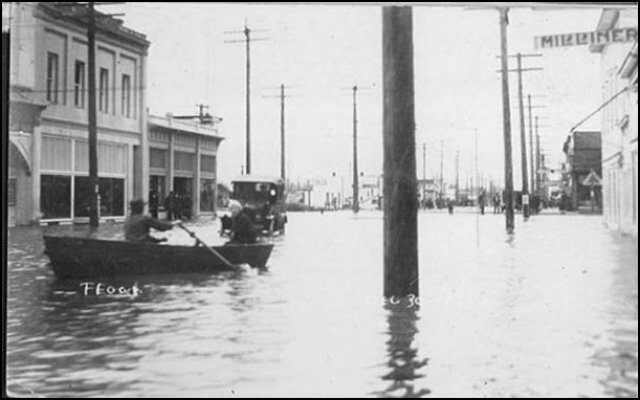 In 1909, the worst flood on the Skagit river in this century left Burlington in the middle of a pond and photographers clicked away. We found this flyer, composed by the anti-Burlington forces, at a garage sale. 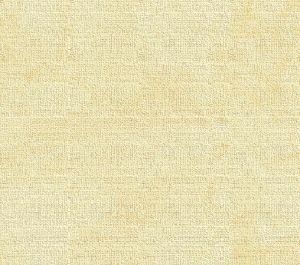 It appears to be a printer's proof of an advertisement in a newspaper or it was possibly a broadside that was to be handed out on the street. Does anyone have any more information on this? It was not covered in either the Skagit County Historical Society books or the ArgusCentennial editions for Mount Vernon and Burlington. Please email us if you know. The flyer is reproduced with illustrations and photos intact. The flyer is too fragile to reproduce, so we re-set the type to make it more readable and we reproduced the photos as faithfully as possible. These [ ] surround updated information. 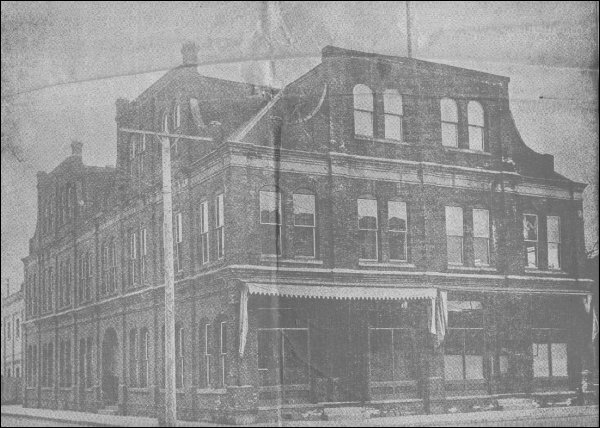 [left] This is the picture of a building which Burlington advertised in the Burlington Journall of Oct. 16, 1909, and in the Sedro-Woolley Courier of October 17. They proposed to build it and loan it to the county. [right] This is the cut of the building they advertised in their circular that they intended to build. is 12,000 square feet of floor space. NO JAIL. NO HEATING PLANT. NO SEWERS. [left] Fairhaven Street of Burlington, Wash, November 30, 1909. Right: Great Northern track, looking toward Bellingham from outskirts of Bellingham, November 1909.
at ANY POINT within the flood district. Regardless of our feelings toward either Mt. Vernon or Burlington, we must vote to preserve our own interests, and the interests of our friends. This is a practical question for the taxpayers who can't afford to cut off their noses to spite their faces. We have the kindliest feelings in the world toward Burlington but we can't believe wither her that now is the time to move the county seat, nor that Burlington is the place for it when it is moved. As far as Mt. Vernon is concerned we can only say: the county seat is now there. Let it stay there until such times as the population of our county has increased to such proportions that the building of a larger and better court house is a necessity. to Burlington's proposed courthouse location. A flood filled the Burlington streets with water in this scene. Photo taken December 30, 1917, courtesy of Roger Fox, West Mount Vernon. Capt. David F. Decatur and very early photos of Mount Vernon, including the lots he sold for the 1893 courthouse and his descendants, the Pollocks, who built and maintained the Lincoln Theater. An 1887 pioneer, he built the first sawmill in town.